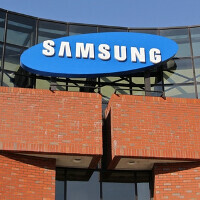 The Samsung Mega On has been certified in China by regulatory agency TENAA. The SM-G6000 features a 5.5-inch screen, carrying a 720 x 1280 resolution. Under the hood you will find a quad-core 1.2 GHz CPU. 1GB of RAM is inside, along with 8GB of internal storage. Those requiring additional memory can access the 128GB capacity microSD slot. The phablet measures 8.2mm thick, weighing in at 172g. There is support for 4G LTE, and Android 5.1.1 is pre-installed. The camera combo, from back to front, is 13MP/5MP. Usually, TENAA has a series of photos that we pass along to you, but for some reason the pictures were either not taken, or are not available. We do have some information about the phone that was included on TENAA's website. You can check it out by clicking on the slideshow below. We still await word on pricing and availability. When will Samsung stop releasing the same goddamn phone? Who can take these phone names serious anymore? I can't. Should have named yourself: tard_is_back Another fart account of BobbyBuster (SamsungPhanboy, No_Sammy_No_Gimmicks, bubbadoes are just some of them) Wait till he upvotes himself with other alts, smh. Oh great, the great United Gays of Troll-land is back! Lmao this made my day, you're back! Haha you idiot. Soon to see a Galaxy Mini Off. I have short memory but when I saw "Mega" I was hoping for bigger screened phablets. Puny sub 6'' is a no go. With those pitiful specs anything over $200 is a ripoff. And yet at the same price point you can get a 1920x1280 display and 4 GB of RAM with Motorola's, Zenfone 2, and OnePlus 2. An O series? Soon Samsung will file a patent for additional letters, because the alphabet's 26 was not enough for all the galaxies. Specs similar to the iphone 6.